In the mid 1980s China ordered a large fleet of ND5s from the USA. 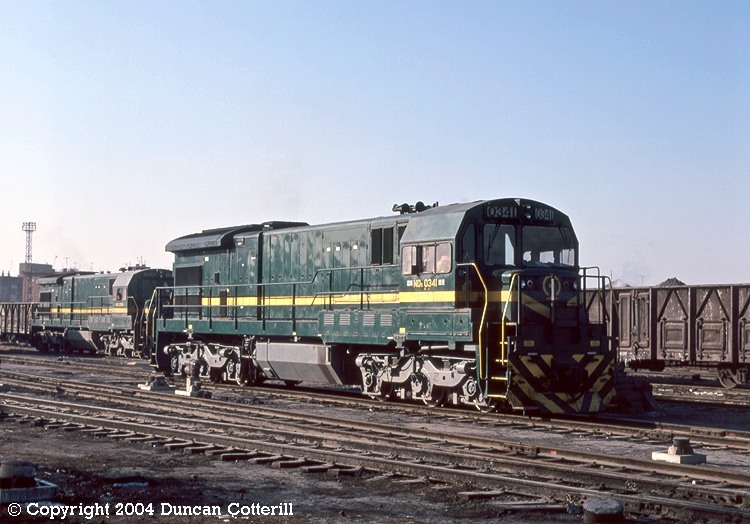 The first 200 were basically GE's standard 3600 HP, C36-7 model while later locos had a modified cab and lower short hood. China took over 400 ND5, many more than were bought by US railroads. Dalian had a large allocation of ND5s for working freight north to Shenyang. ND5 0341 was at Sujiatun depot on 1 December 1997. This loco sported the modified cab and short hood fitted to later members of the class.